Video game puzzle that improves executive function. Recent research suggests a causal link between action video game playing and enhanced attention and visual-perceptual skills. In contrast, evidence linking action video games and enhanced executive function is equivocal. We investigated whether action and non-action video games enhance executive function. Fifty-five inexperienced video game players played one of four different games: an action video game (Modern Combat), a physics-based puzzle game (Cut the Rope), a real-time strategy game (Starfront Collision), and a fast paced arcade game (Fruit Ninja) for 20 h. Three pre and post training tests of executive function were administered: a random task switching, a flanker, and a response inhibition task (Go/No-go). Only the group that trained on the physics-based puzzle game significantly improved in all three tasks relative to the pre-test. No training-related improvements were seen in other groups. 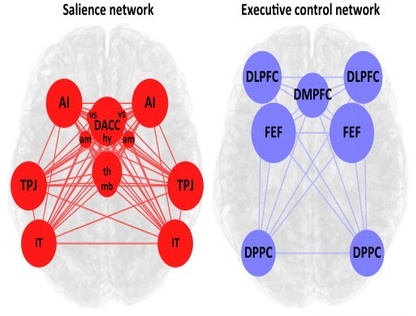 These results suggest that playing a complex puzzle game that demands strategizing, reframing, and planning improves several aspects of executive function. Moral judgements depend on what language we’re speaking.